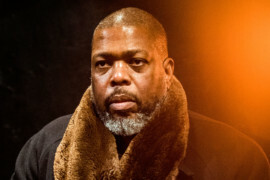 How do transgressive acts redefine our sense of art and performance? 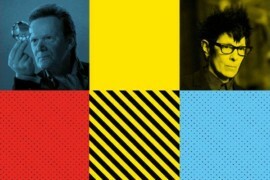 Join French high-wire artist Philippe Petit and daredevil choreographer Elizabeth Streb, masters of extreme performance, as they discuss virtuosity and daring in art. 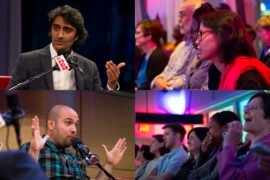 Join us for a live broadcast of WNYC's Peabody Award-winning show. Brian will take questions from audience members and callers. 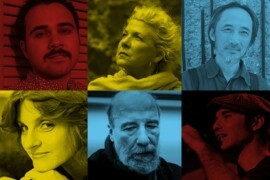 Join us for an evening of resistance, resilience and hope with writers Ma Jian, Raúl Zurita, Marianna Kiyanovska, Ahmed Naji, Kirill Medvedev and Jennifer Clement. Join us for a special celebration showcasing poetry written by students from the Worker Writers School. 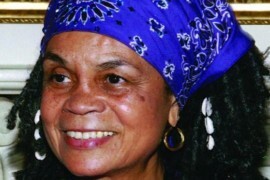 Acclaimed poet Sonia Sanchez will also read selections of her work. 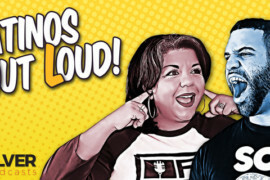 Comedians Rachel La Loca, Juan Bago, Jaime "Jfernz" Fernandez and Frank Nibbs bring you an evening full of off-the-cuffness, jokedom and an interview with a very, very, very special guest. Be heard! 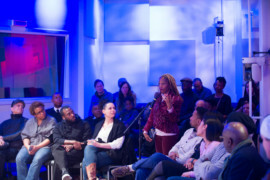 Our town hall-style meetings are a rare chance to share feedback that gets funneled directly to the station and speak with those reporting stories, expanding digitally and driving fundraising. 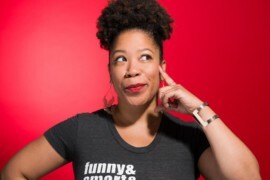 The writer and host sits down with Rebecca Carroll to talk about her podcasting journey from Another Round to the new Netflix show Strong Black Legends and what lies ahead in this rapidly growing industry. 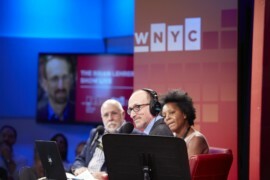 WNYC's Arun Venugopal is joined by guests to examine race, gender, ethnicity and urban life in America, in serious and not-so-serious ways. Tickets on sale soon.